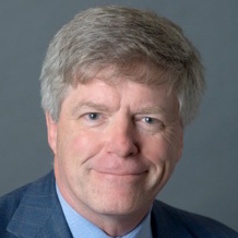 Tom Davenport is the President’s Distinguished Professor of Information Technology and Management at Babson College, cofounder of the International Institute for Analytics, Fellow at the MIT Initiative on the Digital Economy, and Senior Advisor to Deloitte Analytics. He teaches analytics/big data in executive programs at Babson, Harvard Business School and School of Public Health, and MIT Sloan School. Davenport pioneered the concept of “competing on analytics” with his best-selling 2006 Harvard Business Review article and 2007 book. His most recent book (with Julia Kirby) is Only Humans Need Apply: Winners and Losers in the Age of Smart Machines. He wrote or edited seventeen other books and over 100 articles for Harvard Business Review, Sloan Management Review, The Financial Times, and many other publications. He is a regular contributor to the Wall Street Journal. He has been named one of the top 25 consultants by Consulting News, one of the 100 most influential people in the IT industry by Ziff-Davis, and one of the world’s top fifty business school professors by Fortune magazine.